Windy Soto is an average eighth grade student when she gets to hang out with the popular crowd for the first time in her life. It’s an opportunity that puts her life in danger. In Diana López’s young adult novel Choke (Scholastic Press), Windy becomes intrigued by Nina Díaz, the new girl who stands up to the cool kids – and acts nice to Windy. Windy even neglects her dorky best friend, Elena. But Windy soon learns that Nina has her friends play “the choking game,” in which teens choke each other until they pass out. The novel, which takes place in San Antonio, features mostly Hispanic characters and the occasional nod to Latino life – such as barbacoa meals – but it should appeal to all middle school students. This book could even save a few lives. 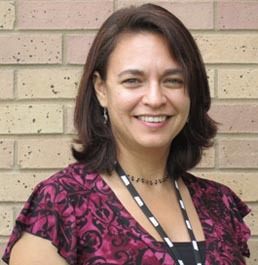 Diana López, who grew up in Corpus Christi, Texas, is the editor of the Huizache literary magazine and teaches literature and creative writing at the University of Houston at Victoria. She also wrote Sofia’s Saints and the young adult novel Confetti Girl. Source: I received a review copy of the book from the publisher.